Just did the So-iui on 12th March. Now officially on two weeks wait. Failed the first iui and in midst of 2nd one. Hopefully this is our last one before we move on to IVF. This beansprout soup can be eaten hot or cold (by keeping it in the fridge). But i prefer to eat it warm though. Good to drink after hangover or rounds of drinks. When hubs have drinking sessions with his Korean friends or dinner with them (cfm have alcohol esp soju), i will prep this soup for him. They drink it when they have hangover and it is supposed to help to clear the hangover. Superrr easy to cook! 10mins done. Boil water and throw in 10pcs of large anchovies and 2 big pcs of dried kelps. Boil and simmer to low hit. Once the “fragrance” is out, off fire and throw away the anchovies and kelps. Keep the soup stock. In the soup stock, add in the large soya sprouts. Put the lid over the pot or pan. Wait for it to boil for 5mins. Open lid and add in chopped green chilli , chopped scallions and chopped red chilli. Add a tablespoon of fish sauce and salt. Let it simmer in low heat for another 5 to 8 mins and it is ready to be served! So basically you need to boil the soy sprouts and then add all the seasoning stated above into a mixing bowl with the cooked sprouts and mix well! And it is ready to serve or kept in a tupperware for up to at least a week in the fridge. Very addictive esp eaten when it is cold. Very easy! 10mins chop chop done! I love this side dish so much so i learnt from my mil how to make it. Back in Oct 2018 , i actually did a LIVE instagram video on the products i bought. Quite a shortone..about 10 mins i think. I find updating reviews on my instastory faster and convenient..so i probably reviewed on these 3 sleeping packs 1-2 months ago…. But here it is in black and white ! To be honest , i don’t really have much review on this though. I alternate my sleeping pack among these 3 but this is the last one i reach out for. I do not see much firming or vibrancy effect from this. But what i like is that it is moisturising. I use sleeping pack daily. I have been putting sleeping pack to sleep DAILY since 2012. If i don’t put , i will feel very awkward and like missing something. So these 3 are within my reach just right beside my bed at eye level when i lie down lol. So all i have to do is to stretch out my hand and take it. I bought it during 50% event at Olive Young for KRW 16,000 . Ehh this smells damn good. Like kuey..sweet rice cake smell. Makes me hungry the first night i used it. Suddenly i have cravings for rice cake and asked my neighbour who is in Jakarta if she can help to dabao back from a Korean mart there. It is hard to find nice and auethentic homemade Korean rice cake in SG. The only one i know already closed down in Novena Square 2. 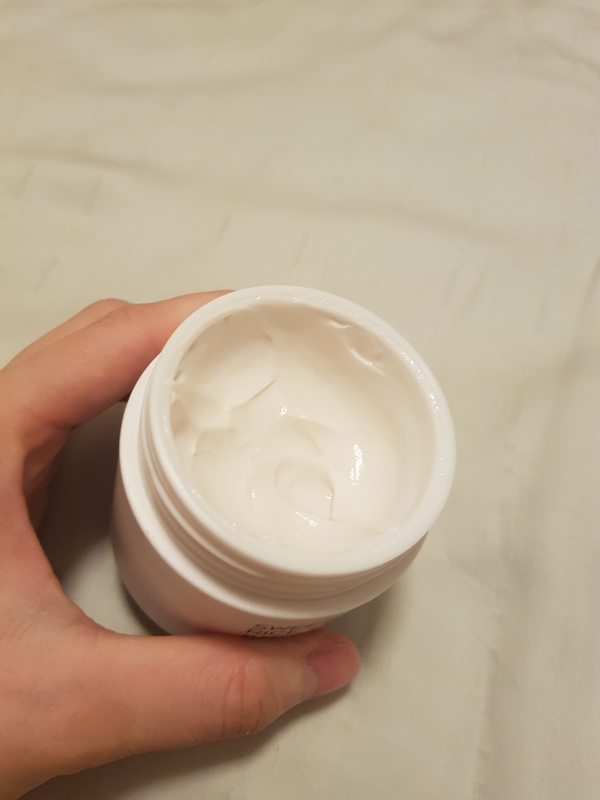 It is very moisturising and non sticky. It also keeps my face moisturised throughout the night ( i sleep in air conditioned room everyday ). This one is quite pricey. About KRW 32,000. It does not leave a greasy or oily layer after that. 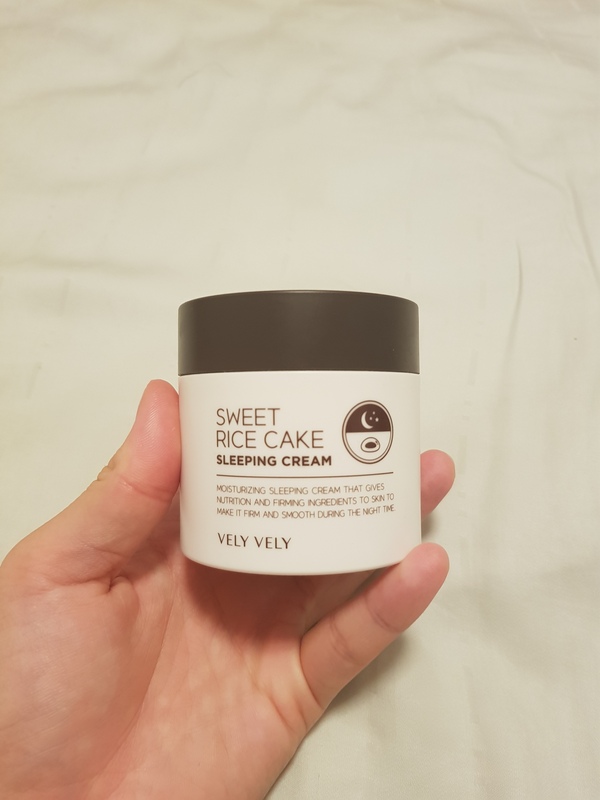 This is one sleeping cream you definitely need to try ! 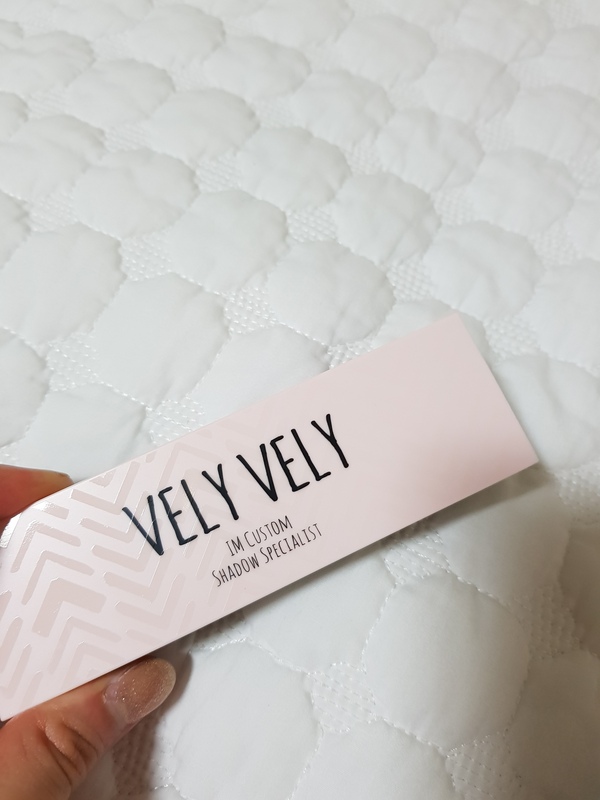 You can only buy from Vely Vely stores or from airport duty free in Incheon. 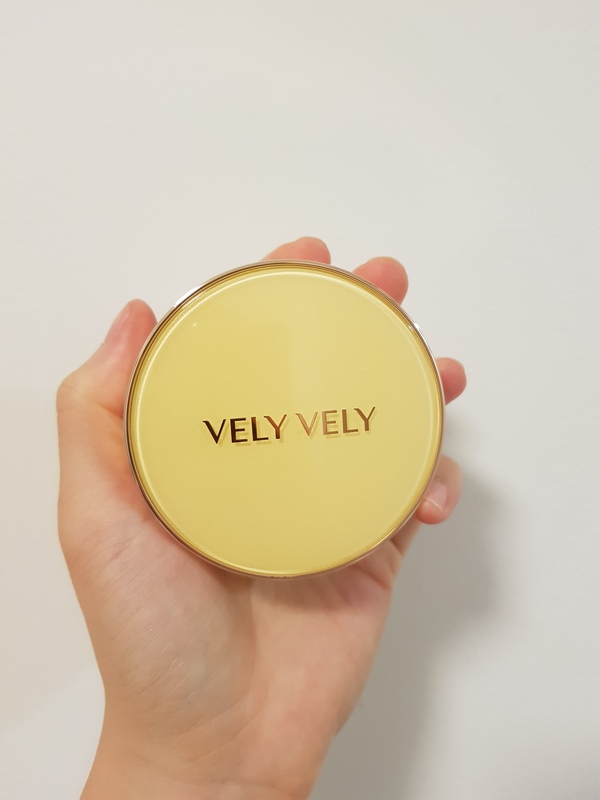 Gimhae airport don’t carry velyvely so you need to buy from the lotte duty free app and collect at the airport after that. I bought this on the first day of launch ! The last box available and i got at member price because i am an aritaum member. You can buy Hanyul from Aritaum stores. Wah this one also smells like Yuja. Just like the bottled Yuja mixture i have in the fridge. Very citrusy and refreshing scent. Hubs asked how come the sleeping pack i buy these days smell like food lol . Cos at night he can smell Yuja or rice cake. So it either made him hungry or thirsty lor. Oh this one close fight with the rice cake mask. This gives a brightening effect. It is gel texture so easily absorbed without leaving a greasy film on your skin.It is also moisturising. This one very expensive. 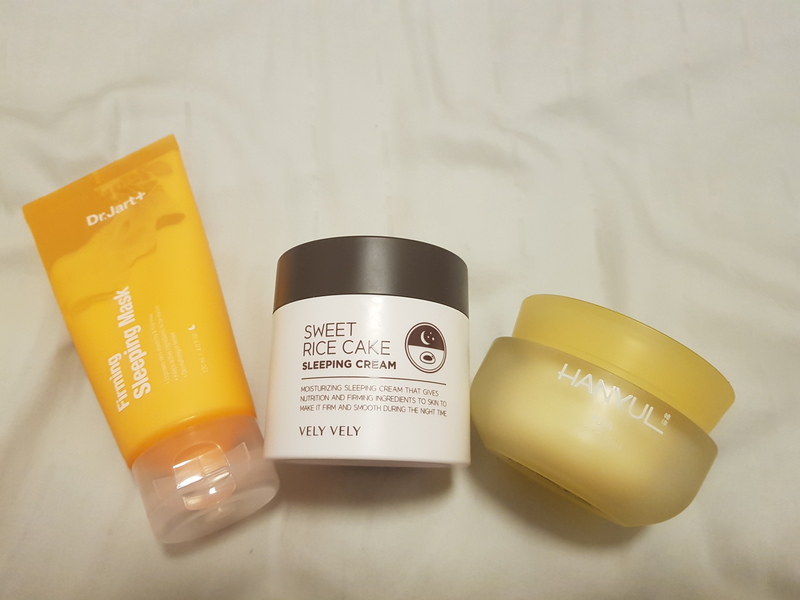 I think more ex than Velyvely rice cake mask. I forgot how much is this but i bought for KRW 30,000 after discount. 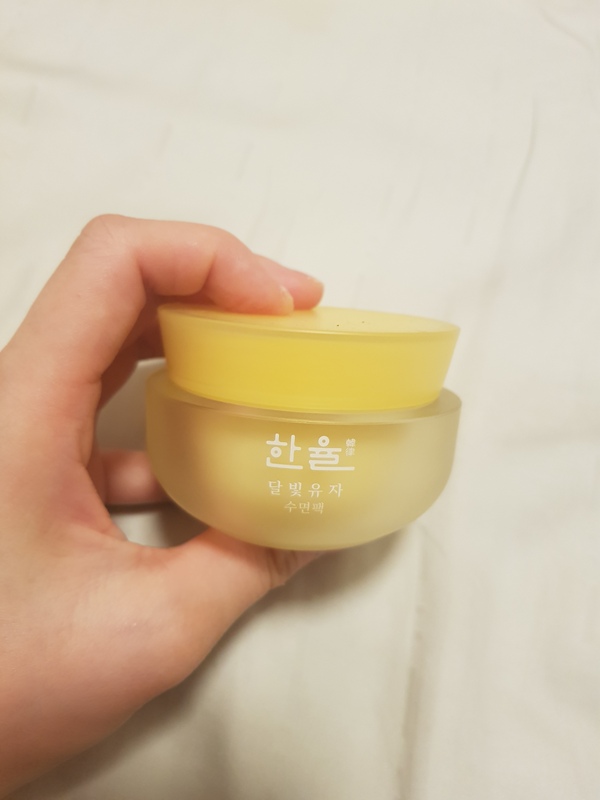 If you want to look for something light and easily absorbed , Hanyul Yuja Sleeping Mask will be better for you . If you prefer something heavy and more creamy , Velyvely Sweet Rice Cake will good for you ! Hehe im black with reviews ! I stopped my Busan blogging at Day 6 i think ! OMG I got alot to update but too much ! Too busy in October and November and then Dec which is Xmas. I will just skip to the make up and skincare reviews on the products i got 2 months ago and i have been using them for 2-3 months already. So it is a good time for honest reviews ! Good thing about having a sis-in-law who is a year younger than you is that we have many things in common and talk about. Both of us like to look at clothes , make ups and skincare. 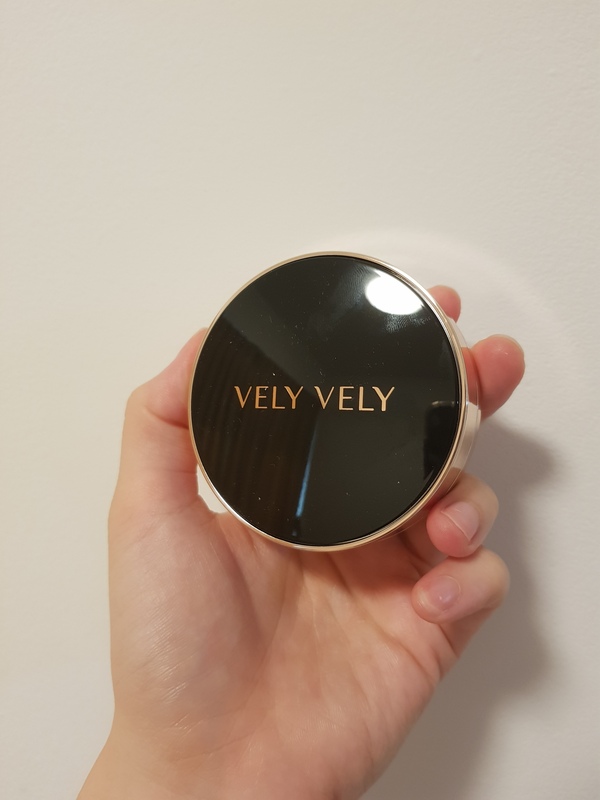 So 3 years ago , she recommended this brand called IMVELY to me. Imvely is like Stylenanda. I think everyone should know 3CE and Stylenanda lah. 3CE is the cosmetic arm of Stylenanda. 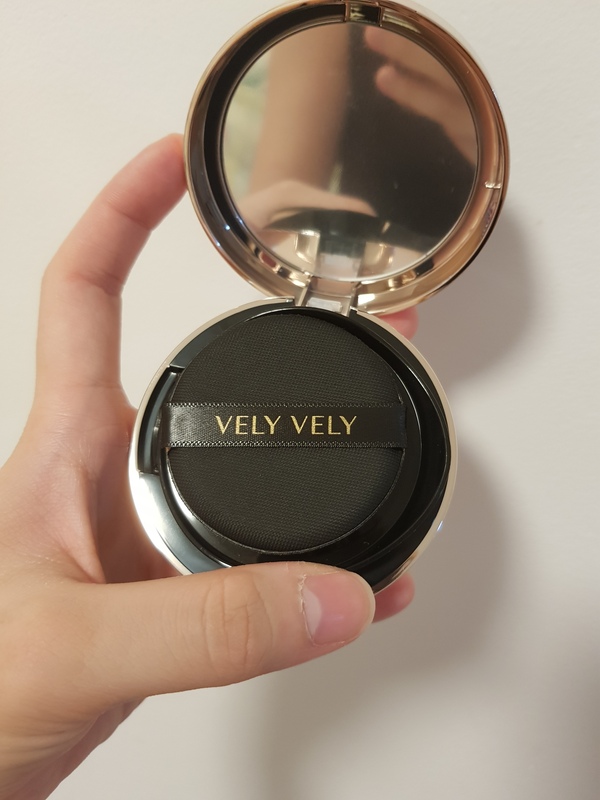 Well for Imvely , Velyvely is the cosmetic arm of Imvely. 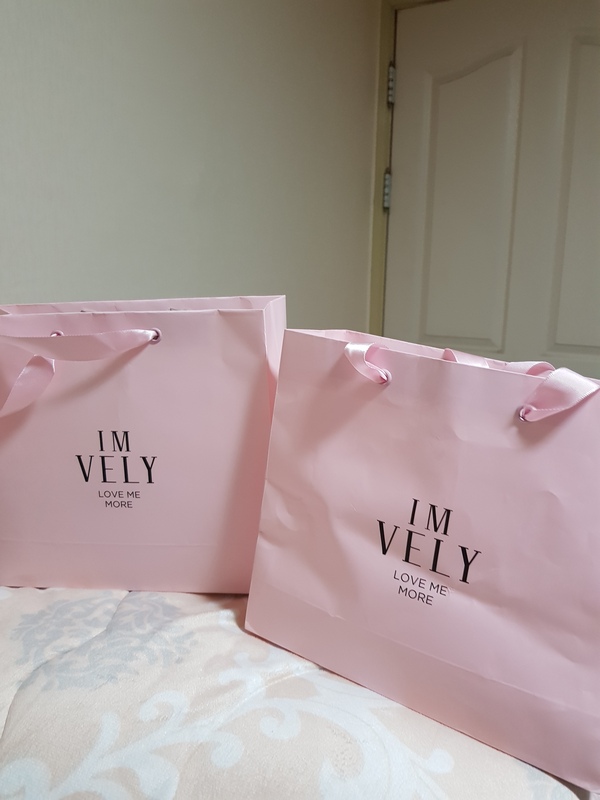 Imvely sells clothes and Velyvely sells cosmetics. You can find their boutiques in major malls like Lotte or Shinsaegae in Seoul , Busan and other cities ! Airport dutyfree also sell their skincare and make up. I have not used the sun cushion yet so i cannot review. The colours are soo prettyyy. Definitely my style ! sis-in-law’s style and my style are the same so i guess she chose the right colour for me ! I love this colour combi. Works very well on my eyelids and brightens my skin and look. It looks orangey but when you apply , it is actually very subtle. 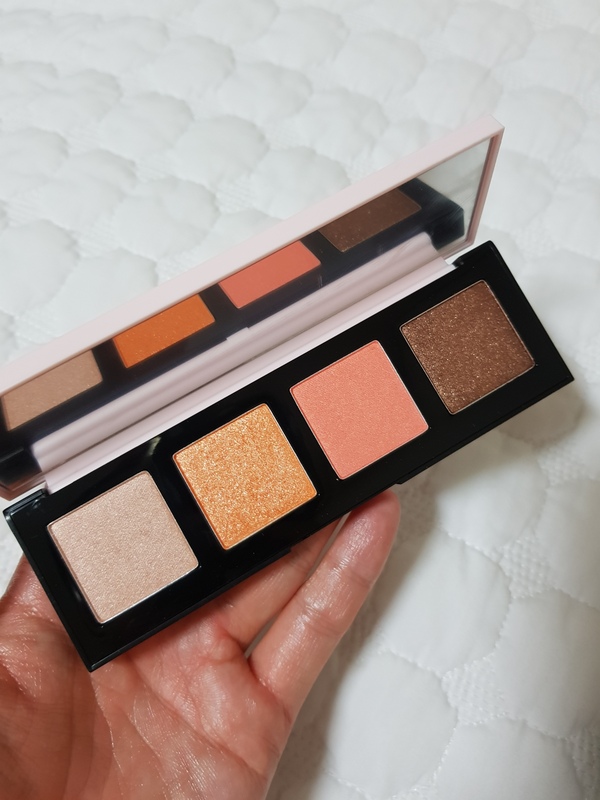 They have many types of palettes (smoky eyes etc). But this one is definitely my style ! I don’t know how much it costs but don’t think it can be found in Olive Young. Only cushions and basic lip sticks range can be found in Olive young but the full range can only be bought from their stores. Now the star product is their BB Cushion. The popular one is AURA GLOW CUSHION which i find it toooo dewy and gives a too “wet and sweaty” look. 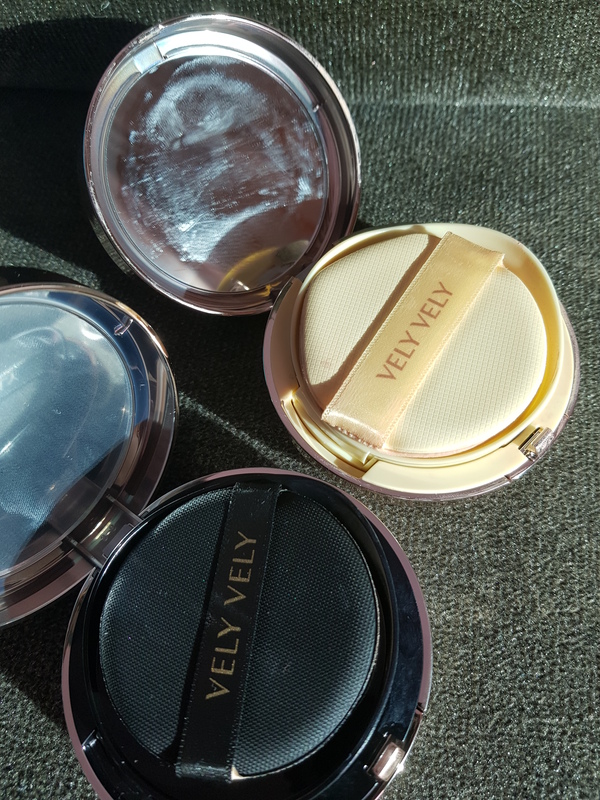 The Honey Cushion is semi dewy and works well for me. The black one is Perfect Cover Cushion which is more matt. The Perfect Cover Cushion in N21. This cushion is more matt and coverage is not very thick though it is called Perfect Cover. So don’t expect it to cover your blemishes. But one thing for sure is , it is longlasting. I went out today in sweat and rain but i did not need to touch up. Whereas for the Honey Glow (Yellow) , i have to touch up once or twice a day. It kinda reminds me of Hera Black Cushion. I used the black cushion before and if you were to ask me hor…i prefer this than the Hera one. This is more moisturising. Hera one is abit drying on me. It comes in a box with the main product + refill pack ! 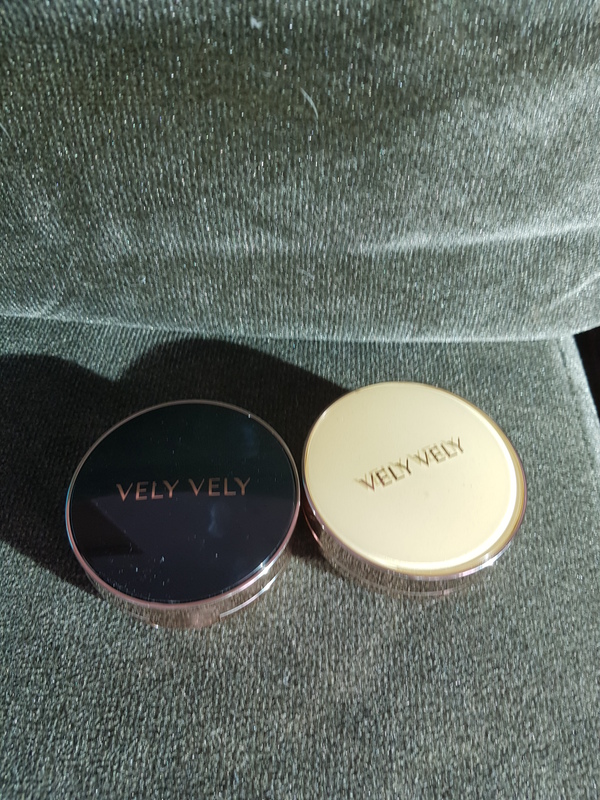 Oh yes Imvely and Velyvely ships internationally tooo ! So you can buy from their website at imvely.com and choose the english option. 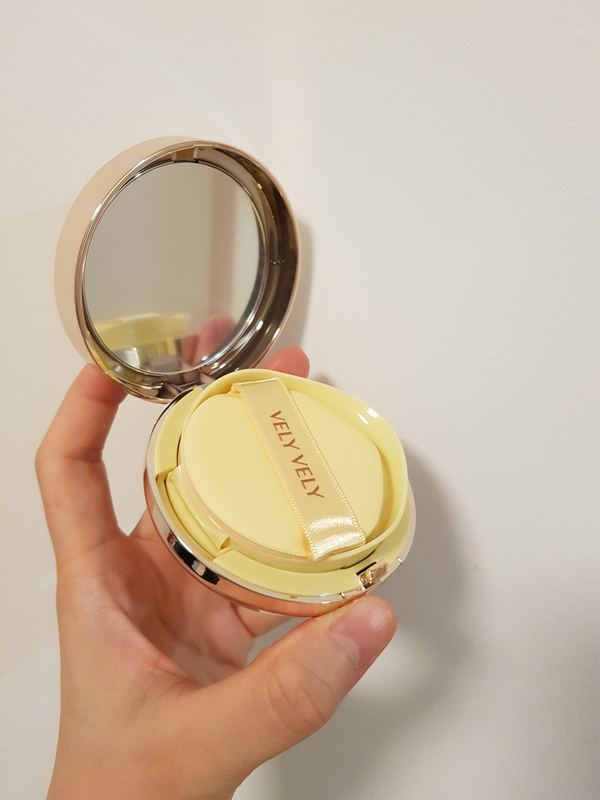 Next is the Honey Glow Cushion. Like the name , it is moisturising and gives a semi-dewy look. Not the very shiny kind of dewy but subtle one. Moisturising factor definitely high but not very lasting as compared to Perfect cover. Oh yes one thing i like about this latest product is the shape of the cushion which has an angled end. It makes blending around the nose eye area easier and nose edges. The air cushion pad material is slightly different too. It is abit plastic leatherish. Which means that your cushion pad will not look very dirty with foundation or other make up stains. I can clean and wipe it with a tissue. See below and you can see the air cushion pad comparison. Perfect Cover Cushion (Black) has round cushion and the usual cover material whereas the yellow Honey Glow Cushion has an angled cushion pad and looks more leatherish. If you ask me which one is better ? It depends on your skin type. If you have oily skin , the black Perfect Cover will suit you. 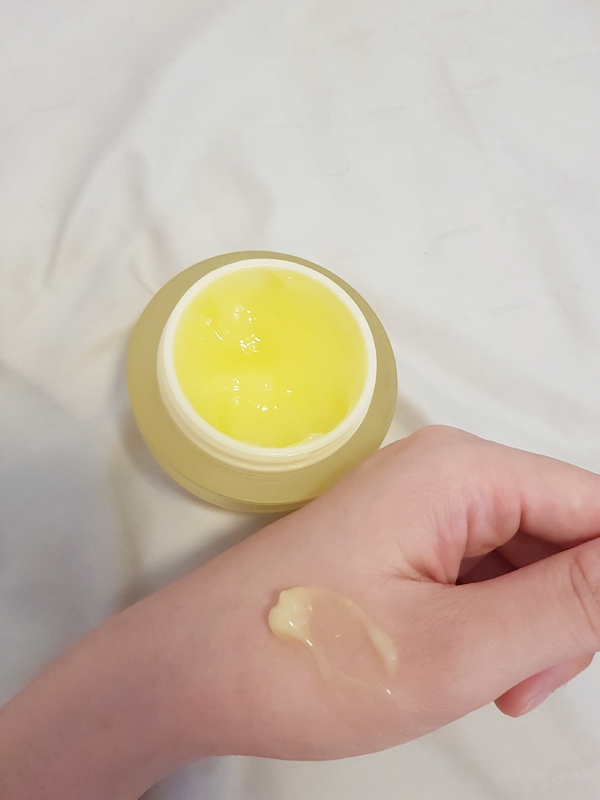 If you have dry or normal skin , Honey Glow cushion in yellow will be better. You can buy them from Velyvely/Imvely stores and Olive Young ! Wah just login here and realized that it has been 2 months since my last updates. Nov and Dec were busy months. Clearing up all outstanding work before end of year and also i had my IUI done in November. And also i find myself coming back to social media (dayre and wordpress) to express my thoughts these days. Esp when im travelling from one point to another for client appointment. I always say that i have to share but i really do. Just that i prefer to have 1 full quiet day to sit down, have a coffee and cake to pen down my thoughts properly. But i am not able to find such times last year often except the 2 weeks after my Korea trip lol. Well tomorrow afternoon i have a 5hr break inbetween.Time to find a good place in town to chill and pen my thoughts. Also , many asked me to share on my iui procedure. Yes .. i have drafted but there are some really personal thoughts which i am hesitating if i should share out openly. And also i really want to thank many of you who shared their iui journey with me too. It makes me feel more assured and also know what to expect and what not to. Now..just waiting to go for my next iui which will be SO-IUI. Waiting for period to come and start this whole tiring cycle again but i think this upcoming one will be more challenging.